The Hannover/ Langenhagen (HAJ) airport is located about 35 km away. This takes approximately 25 to 30 minutes to travel by taxi or our shuttle service. There is also a rail connection to the Schwarmstedt terminus with a travelling time of approximately 1 hour. 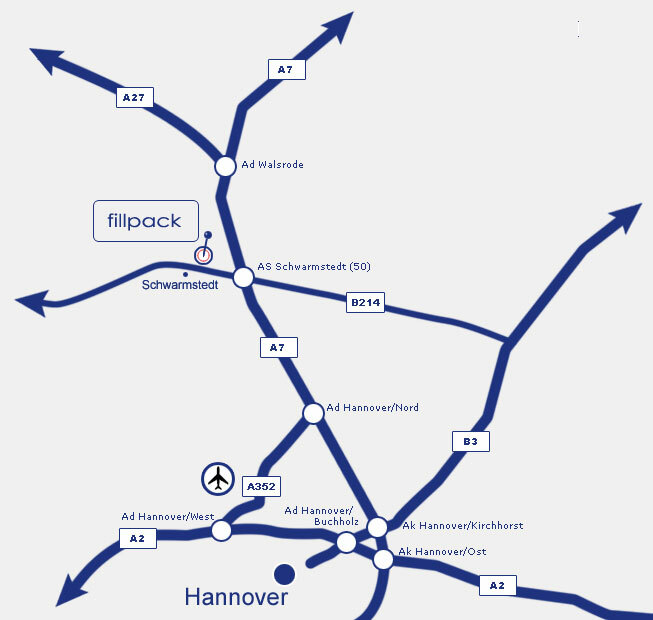 You can reach Hanover within a few hours from any direction via the ICE connection. Regional and light-rail services operate from the main railway station in Hanover on a half-hourly basis, bringing you via Bennemühlen to the Schwarmstedt terminus within 40 minutes. Travelling by taxi from the main railway station will also take around 35 to 40 minutes. Approaching from the north or south, leave the A7 at the AS Schwarmstedt interchange (50). From here, proceed on the B214 in the direction of Nienburg. Approaching from the west, you will reach the A7 motorway by switching from the A2 to the A352 at the AD Hanover-West/5 motorway interchange (43). Now follow the road for 18,9 km in the direction of Hamburg, Bremen, Hanover airport, A352. Switch from the A352 to the A7 and leave this at the AS Schwarmstedt interchange (50). Approaching from the east, you will reach the A7 by leaving the A2 at the Hanover/East interchange by proceeding in the direction of Hamburg. Leave the A7 at the AS Schwarmstedt interchange (50). Now follow the B214 for 4,4 km in the direction of Nienburg. Shortly before entering the town of Schwarmstedt, turn right into “Am Varrenbruch”. You should be able to recognise our building from a distance (two Fillpack flags).